In December 2015, the 13MWp RASLAG II PV Power Plant project was commissioned and went online more than 4 weeks ahead of schedule. Back in August 2015, RASLAG Corp., the renewable energy generation arm of Angeles Power, Inc., contracted to expand their existing 10 MWp power plant in Mexico, Pampanga, by adding 13 MWp. Total installation time for the entire PV Power Plant from groundbreaking to commissioning was only 13 weeks. Using 38,640 PV modules, RASLAG II produces about 19,438 MWh of electricity per year, supplying some 11,700 local homes and avoiding 11,916 tons of CO2 emissions annually. “Given the sometimes difficult circumstances in the Philippines, e.g. due to adverse weather conditions, the commissioning of the RASLAG II PV Power Plant much ahead of schedule is an achievement we are especially proud of, and which to our knowledge is unique in the current situation of some 600 MWp of PV Power Plant rushing to completion in the Philippines”, said Tobias Preuss, Managing Partner of Syntegra Solar and Syntegra Solar Owners Engineer Project Leader for the Philippines. 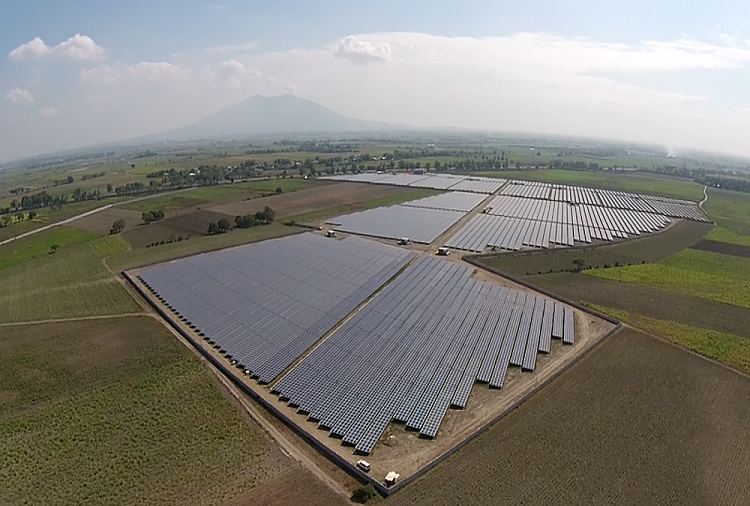 The RASLAG II PV Power Plant has been built in Barangay Suclaban/Mexico, some 60 km north of Manila near the NLEX freeway and next to the 10 MWp RASLAG I Power Plant. Through the entire project development including contract negotiations, as well as implementation and commissioning, Syntegra Solar as Owners Engineer was instrumental in coordinating and supervising that the second RASLAG PV Power Plant is now completed significantly ahead of time, on budget, and in assured superior quality.